As the founder of the Citizens for Public Safety, Quality of Life, and Property Values, a national volunteer outreach with a focus on the impacts of marijuana in our communities, I want to convey loud and clear that the recent decision by Oregon’s legislature to redefine marijuana as an agricultural crop should not be ignored! Unwanted pot grows are plaguing Oregon. Marijuana advocates and pro-marijuana legislators are outright trying to takeover Oregon’s rural farming communities for the sole purpose of growing recreational marijuana. They have done this by redefining marijuana as an agricultural crop through House Bill 3400. This happened because in Oregon medical marijuana program was set up as a bridge to marijuana legalization; then out-of-state donors funded legalization; the vote passed and the legislature redefined marijuana as an agricultural farm crop. First, recreational marijuana was legalized in Oregon in 2014 under a statutory ballot measure that was funded by a $5.3 million dollar out-of-state campaign. Marijuana lobbyists and pro-marijuana legislators waited with bated breath to see if polling guidelines around the public’s acceptance of a tax and regulate scheme would pass. It passed 55.6%, yes and a 44.4% no! It was the urban voters who said yes and rural voters who said no, yet it will be the rural voters who will be most impacted by marijuana legalization in Oregon. 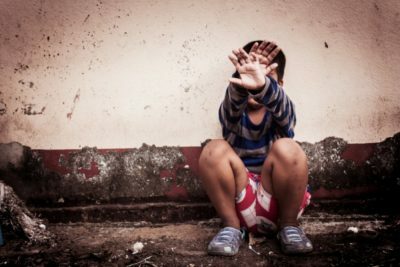 Advocates of Measure 91 blasted the airwaves with their message knowing that local efforts would have a difficult time matching their out-of-state financial efforts, since all of their money was coming in from the billionaires whose dream is to legalize all illegal drugs, therefore making it difficult for the general public to hear the real truth about the dangerous impacts of marijuana. Second, according to the Oregon Health Authority there are over 47,430 unregulated medical marijuana growers growing for cardholders. The Oregon Liquor License Commission was given the task to set up rules for Oregon’s new marijuana program. That commission has indicated that at least 75% of the medical marijuana in Oregon goes to the underage and out-of-state black market. So legislators went to work to find ways to control Oregon’s medical marijuana program by reducing the number of cardholders that each medical marijuana growers may provide for and reducing the number of marijuana plants that could be grown at one site address. If they couldn’t reduce these quantities, then Oregon’s new recreational marijuana would have a difficult time surviving. From the beginning, controlling medical marijuana was the tool that was used by the pro marijuana advocates to set the foundation for full and outright marijuana legalization. Third, once the marijuana legislators realized that the marijuana legalization program was only going to succeed if they were able to curtail the current unregulated medical marijuana program, they opened the door to the growers by developing what they called an Opt In program for growers where they could sell their extra marijuana to the recreational marijuana market. However, it was not a mandate for the 47,430 unregulated marijuana grow sites to become part of this program, leaving another unregulated loophole. Finally, Oregon’s legislators decided to redefine marijuana as an agricultural farm crop under House Bill 3400 (section 34 (1), which gives recreational marijuana grows an immunity loophole in all of Oregon’s exclusive farm use areas under the States “Right to Farm Act.” This bill denies nuisance lawsuits against farmers who use accepted and standard farming practices, and it does not require any neighbor notification or conditional use permits. It allows only the state to regulate it without jurisdiction control. What does this means for Oregon’s rural farming residents? It means a complete and utter takeover of all of Oregon’s rural residential farming communities. While it was the urban voters who voted yes for marijuana legalization, it was the rural voters who voted no who are being most impacted. Rural Oregon farming residents are seeing large out-of-state land grabs for the sole purpose of growing commercial recreational marijuana. So imagine, one day you have a horse pasture next to your home and the next day this 40 acre pasture has been turned into a 300’ x 700’ compound completely surrounded by a 6’ high fence with 10 rows of barbed wire on the top not only blocking your once beautiful view, but omitting the skunk smell of pot, 24-hour a day lighted greenhouse that lights up the night sky for miles, and increased traffic completely changing the rural farming character and culture that you have enjoyed. 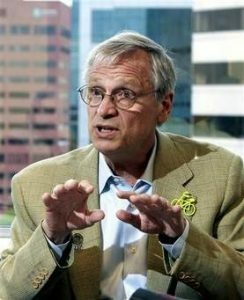 Congressman Earl Blumenauer — who promotes marijuana in Oregon and is trying to legalize marijuana at the federal level –has many his rural residential farming constituents in his district unhappy with him. Here’s a letter Rachel McCart wrote to Rep Blumenauer. I have voted for you in previous elections and want to let you know why I will not be voting for you in future elections. I cannot support your efforts to legalize marijuana at the federal level. Here’s why. I, like many other voters, voted for Measure 91 with the idea that decriminalizing possession of small amounts of marijuana and allowing individuals to grow up to four plants at their home would result in reducing law enforcement burdens and getting illegal, dangerous grows out of public and tribal land. What I did NOT vote for was having marijuana classified as a “crop” for the purposes of the Right to Farm Act. Compared to Colorado, for example, recreational marijuana is not allowed to be grown outside of industrial areas. Over 70% of Colorado, Washington, and Oregon jurisdictions have banned medical and recreational grows, processing sites and stores in their communities. Those counties and cities who have decided to Opt In to the cash-mongering goals of the pot advocates should be reminded that marijuana is still federally illegal. County and city officials who take an oath to serve both State and Federal laws put themselves in a position of aiding and abetting the illegal drug market. The complete and utter takeover of our rural residential farming communities through the redefinition of marijuana as an agricultural farm crop is inflaming rural Oregon voters. To complicate this outrage even more, the Oregon Liquor License Commission is issuing more than one recreational marijuana growing license to one site address. What this means for Oregon rural farming residents is that a landowner can receive a marijuana growing license on a tiered system and be allowed to have one 5000-10,000 sg. Ft. indoor marijuana grow and one 20,000 to 40,000 sg. Ft. outdoor marijuana grow. Then the landowner can lease the rest of his land to other marijuana growers therefore using the entire piece of land just to grow marijuana. 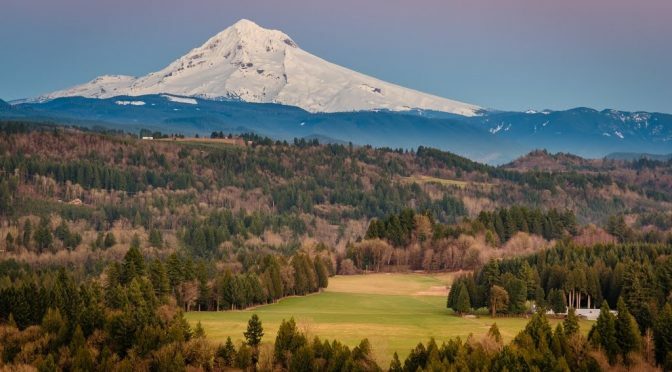 In some areas of Oregon, 86 to 100 acre parcels have been purchased by out-of-state investors just to grow marijuana without any consideration to the impacts of neighbor’s public safety, quality of life, or property values. The Oregon Liquor License Commission also is not putting any limits on the number of marijuana growing licenses that will be issued, meaning that an entire rural residential farming community can be taken over by large recreation marijuana grows. (a) The Department of Food and Agriculture shall establish a Medical Cannabis Cultivation Program to be administered by the secretary, except as specified in subdivision (c), shall administer this section as it pertains to the cultivation of medical marijuana. For purposes of this section and Chapter 3.5 (commencing with Section 19300) of the Business and Professions Code, medical cannabis is an agricultural product. What does this mean for rural farming residents of California? That is a question all rural farming residents should be asking in all States concerned about the impacts of marijuana in their communities. In closing, I would like to warn other states about this immunity redefinition of marijuana as a farm crop loophole. 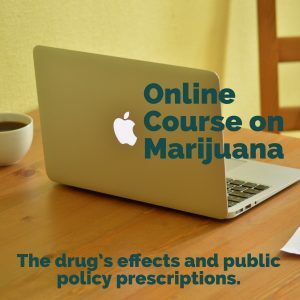 Although many innocent voters have been misled by the highly funded ballot initiatives that push the so-called “medical” marijuana and recreational marijuana schemes, many citizens have observed the impacts first hand and are standing up to these deceptive attempts to try and ignore the impacts to public safety, quality of life, and property values. Drugged driving, diversion to other States, destruction to the environment, diversion to minors, public consumption, robberies, burglaries, fatal shootings, odors, increased traffic, fires, hash oil explosions are just a few of the impacts that marijuana leaves behind. The scheme of medical marijuana and marijuana legalization leads to the degradation of our neighborhoods and it is important that citizens begin to inform their communities. 3. Oregon Catalyst. NW Spotlight. Up to 75% of Oregon medical marijuana goes to black market. 22, March 2015. 4. McCart, Rachael Kosmal. Letter to Congressman Earl Blumenauer. Letter to the author. 7, January, 2016.